I received a set of Mary Kay’s Satin Hands when I graduated from high school, but I didn’t really get the hype about it at the time.Â I asked a friend if she wanted the set, and she was overjoyed and snatched it up.Â StrikeÂ one.Â I then received another set of Mary Kay’s Satin Hands for my bridal shower, and again, didn’t even try the set before I passed it along to another friend, who, amazingly enough, was also overjoyed and snatched it right up.Â Strike two.Â When I received yet one more set of Mary Kay’s Satin Hands for a baby shower, I figured that I should at least try it out and see what my friends from years past had been so excited about. The only downfall to the Satin HandsÂ set is that it can really only be used on your hands.Â I tried once using it on my body, but it didn’t turn out as well as I had envisioned.Â I’ve been looking for something since then that would work for my legs and arms, and then I came across Simone France Skincare. Simone France Skincare offers a unique cleansing method that uses classic French skincare products, but the service that stood out to me was the individual, one-on-one skincare consultation that anyone can use, even if you choose not to purchase from Simone France.Â Â After receiving a skin care diagnosis from Simone France which explains the reasons for your skin problems and outlines at-home steps you can take, Simone France also provides a suggestion of products to use.Â In addition, you can search by Skin ConcernsÂ Â or by Your Skin Type to find the specific products that apply to your skin issues. 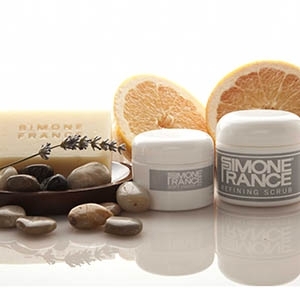 Simone France Skincare alsoÂ makes a setÂ called theÂ HandwichÂ that includes soap, Refining Scrub, and Soft Hands RX specifically for exfoliating, moisturizing, and protecting your hands. My eye also caught the Deep Moisture Mask that works well for moisturizing skin that has been affected by dry weather over this past (very long…) winter. 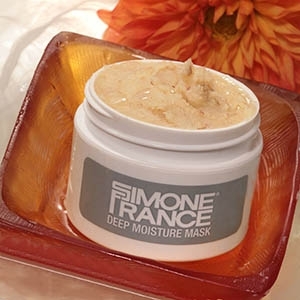 Â Simone France, though, is best known for the Sandwich Daily Facial Package that offers deep pore cleansing, mild exfoliation and ideal moisturizingÂ in just 2 minutes a day. WithÂ the weatherÂ changing from the harsh, cold, dry winter to gorgeous spring days, take a lookÂ at Simone French Skincare to help make the transition easier or to add that extra boost to glowing skin. Enter below to win the Simone French Skincare Body Duo that I received and love so much! ** The winner of this giveaway will be drawn no later than the morning of April 25th and will be emailed within 24 hours.Â If the winner does not respond within 48 hours, a new winner will be drawn. *This posting and giveaway were sponsored by Simone French Skincare, but all opinions are strictly my own.